Our Concerns To The EU Over Serbia Becoming An EU Member State – Only When It Enforces The Law For Stray Animals In Accordance With Existing Serbian Laws. 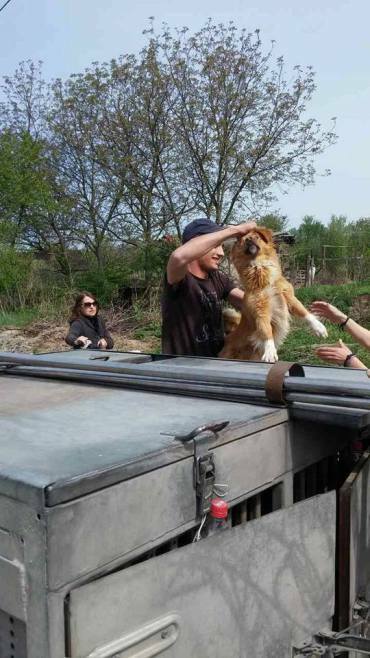 Regarding our recent posts on the dogcatchers of Serbia; we are now in the final stages of writing a letter which we will be sending to the EU. The EU is very keen (as we have seen with live animal transport to Turkey) to simply dismiss the concerns and pass the enforcement back to member states. We call this a cop out and consider the EU Commission should be stepping in to prosecute. If the EU wants to brag about all its legislation to protect, then it needs to step up to the plate and prove it is enforcing what it says. This will be our case to the EU. But back to Serbian dogs. The Treaty on the European Union states that any European country may apply for membership of the EU if it respects the democratic values of the EU and is committed to promoting them. With these standards, set out by the EU itself, we can only assume that the EU will do as it says; both protecting the rule of law and citizens rights within Serbia. And so we think the EU does have a responsibility under ‘Copenhagen’ to ensure that Serbia is enforcing the rule of law for strays before it is allowed to join the EU. Serbia is not currently enforcing its own laws (Article 269 and Article 46 of the Serbian Veterinary law), and so we feel the EU should become involved with this. We are currently writing a letter to the EU based on this information – and asking them to address the issue of stray dogs / Serbian law with the Serbian government. Serbia needs to enforce its own laws way before the EU accepts it as a member state of the EU. If necessary, we would be prepared to argue this case in a court of law. 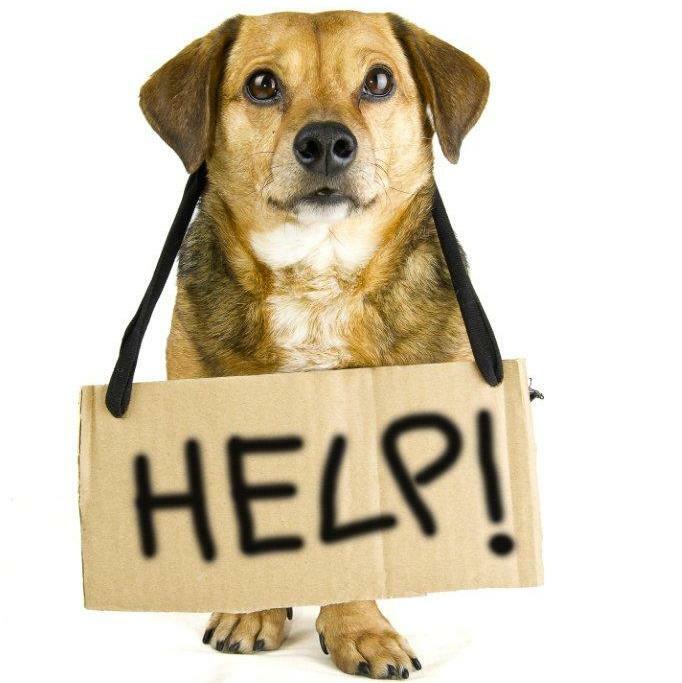 If the EU states that candidate nations should show adherence to the Copenhagen Criteria, then the EU must ask Serbia why it is non compliant with enforcing its own national laws for the welfare of stray dogs and cats ! Serbia: Protest (on 28/2/18) By Many NGO’s Against Dogcatchers. tomorrow , 28.2.2018. at 14h will be protest against dogcatchers. 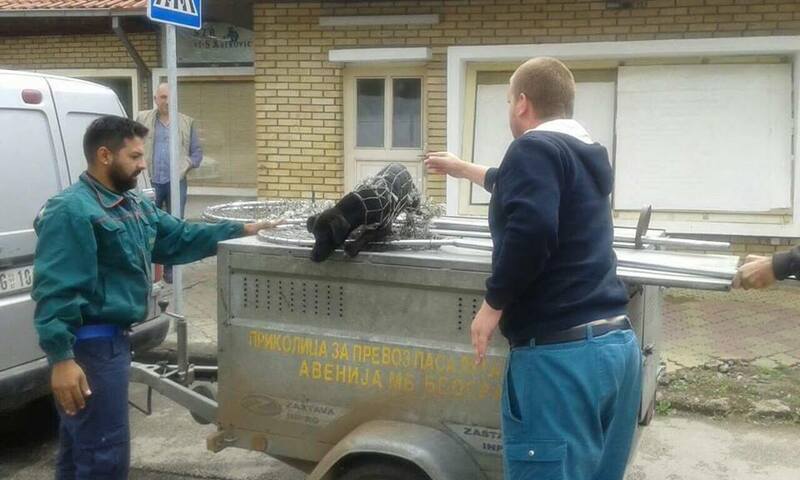 Protest will be in Vranje, but it is in general against dogcatchers, especially against a private firm Avenija MB. I recommended to them that they show names of all serbian NGOs who supported protest , they promised to do it , so authorities would see that we are united in this. Use the drop down at the top to convert this to English text. It is worse than you can imagine. Animal welfare activists are threatened , abused, attacked, just because, this is the source of corruption. Big money is in the question. Local councils are the part of this Mafia business. This business is called Avenija MB, registered cleaners and pest control. However , employed by numerous councils, to “accommodate” dogs, which means kill them. For thousands of euros, they probably share . 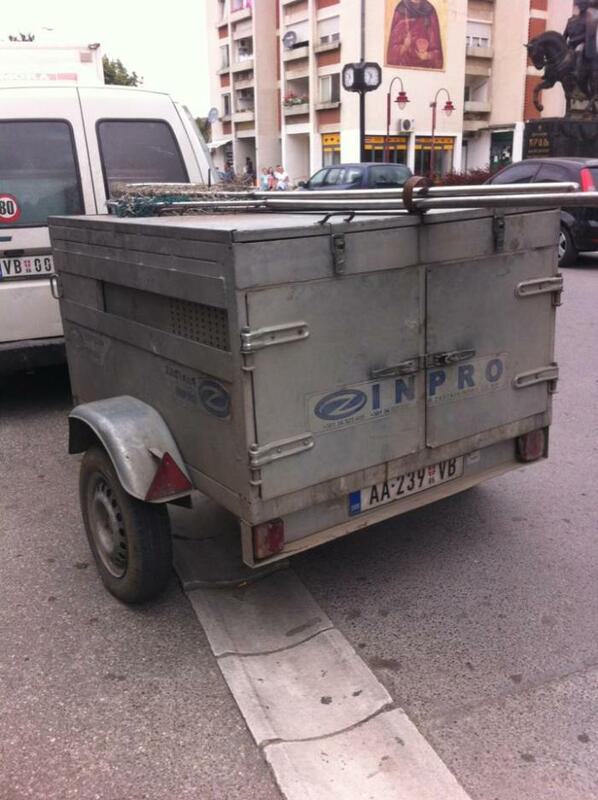 The Raise of registered shop , YES SHOP, AveniaMB from PestControl over dead dog’s bodies and political connections to EUROS covered in blood and development of their own Crematorium where the Dogs from Serbia will burn and disappear for ever. 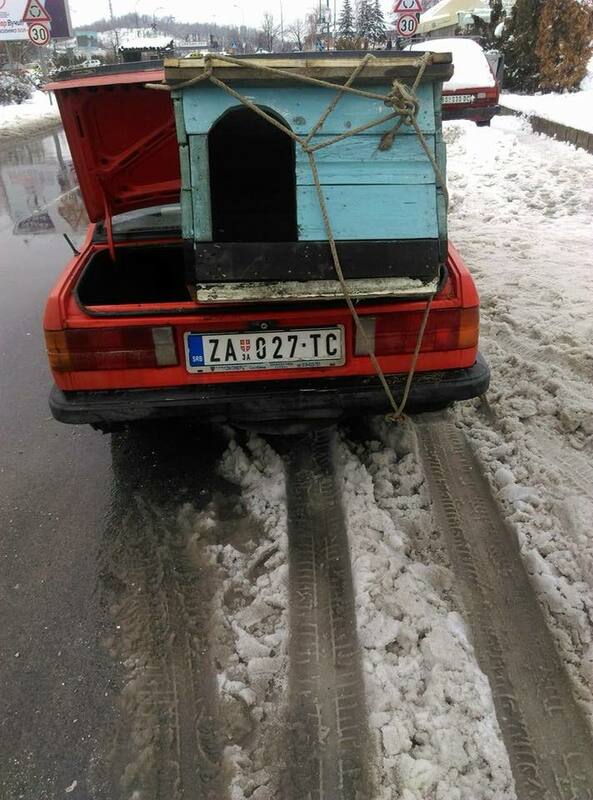 This AvenijaMB , registered as Shop for Pest Control, is now registered , with no Training whatsoever, not only for catching dogs , but for caring for them and has own “shelter”, read concentration camp, where they drag dogs from all over Serbia, from municipalities, they signed illegal contracts with. They share abnormal amounts of money from the budget of the councils , which is paid by citizens. If PestControl can be hired to “humanely accommodate dogs, catch them, look after them”, but at the same time drag them, strangle them, transport them in small transporter over more than 200 km, with no water, on the heat and freezing cold, if it is all right and accepted by Veterinary Inspections, than…. All clear about corruption and unlawfulness. They registered recently also for collection of animal waste, what means, collection of dead animals and waste material of animal origin. 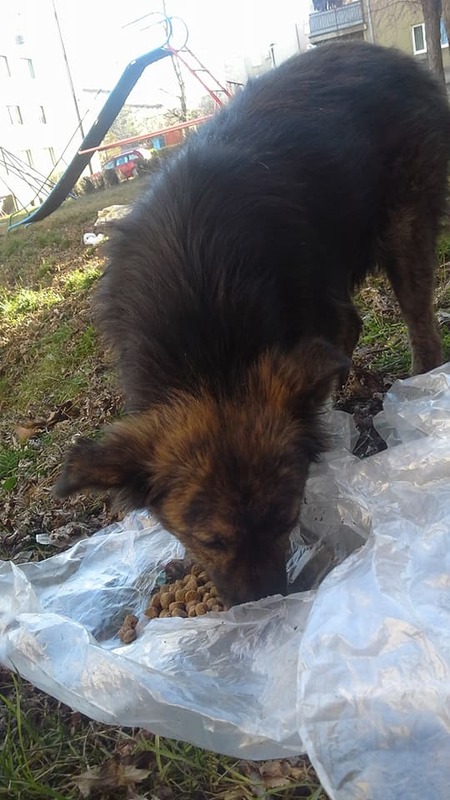 Animal Welfare Org Pancevo shared an information about the quantity of the animal waste they delivered to be burned to local Crematorium in Cuprija. Unbelievable quantities. How many kilograms of killed dogs are included in this amount. 10.380 kg in April 2016. Please see all links in the text above. How easy it is to hide dead bodies, of the dogs killed in concentration camp. 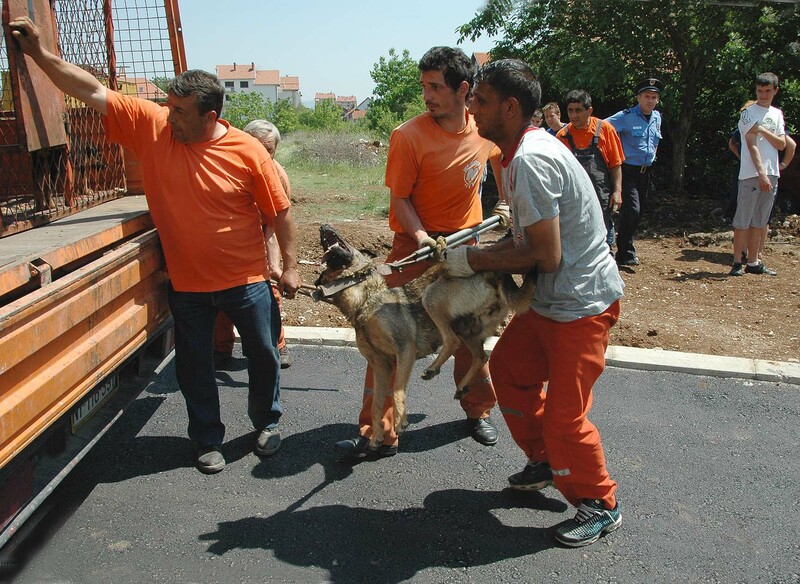 Mass Murder of the dogs from whole Serbia. It is well known that the dogs don’t go out of their “shelter “alive and entrance is forbidden. People who look for their own stolen, dogs, are not allowed in. And they are asked to pay at least 150 euros (average income is 200 euros per month). Naturally, this is always flatly denied, but there are witnesses. Links above. Continue reading this in the above link. SAV Comment – You can see the EU – Serbia link immediately below ‘Update’. We will now be taking this issue of alleged corruption to the EU Commission for Enlargement (new nations joining); as well as to MEP’s and other Commissions. Especially relevant now as Serbia is an EU ‘Candidate Country’. Everything should be done re EU membership according to the ‘Rule of Law’ – an EU requirement. The EU makes major claims that it is wiping out corruption – so we shall see. There is obvious corruption here on a national scale; so the EU needs to know about it. 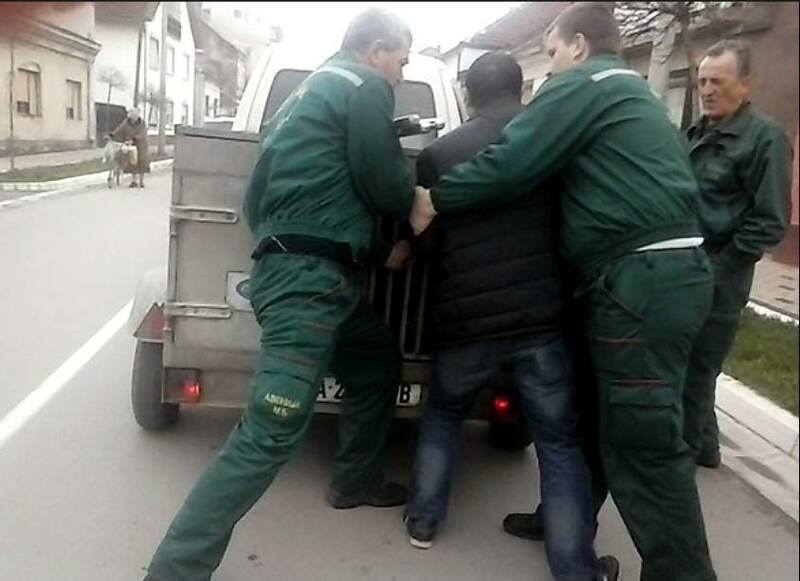 Serbia: 27/2/18 – The Campaign Against The Dogcatchers. Using photos with no explanations like this one, makes me sick. If you want to know more, Mark, and I do appreciate your willingness to help, pls read this. There are so many articles in the same category. It’s a bit ‘parky’ here in the UK at the moment. Most of Europe is being hit at the moment by really cold conditions coming in from Siberia; which is being called ‘the beast from the East’. 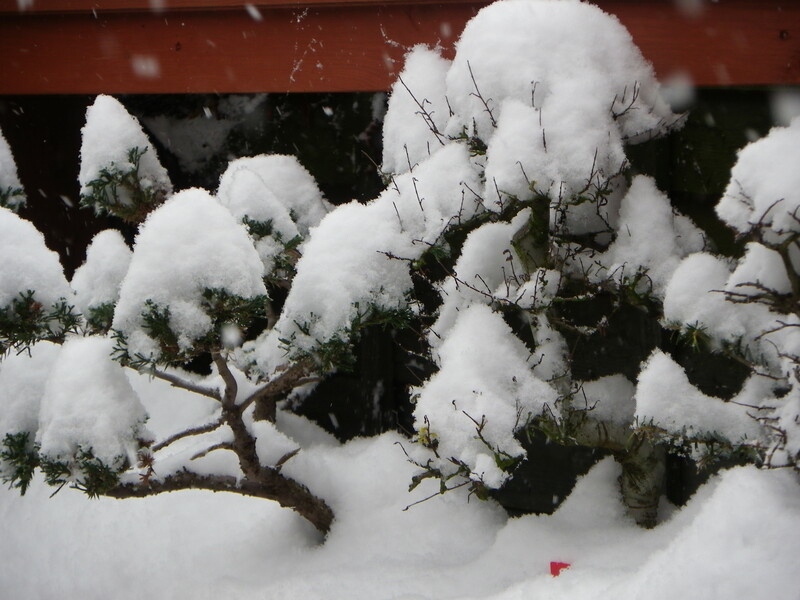 Here are a few pictures of our bonsai trees this morning; complete with snow. We are not griping about it as we know many visitors to this site would dream of some good rain or snow conditions where they live; we appreciate that and feel very lucky that we have lots of rain and snow – which makes the UK the wonderful green environment which it is. 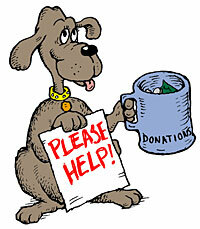 Please give a thought for all the strays in Serbia and Europe at this time. 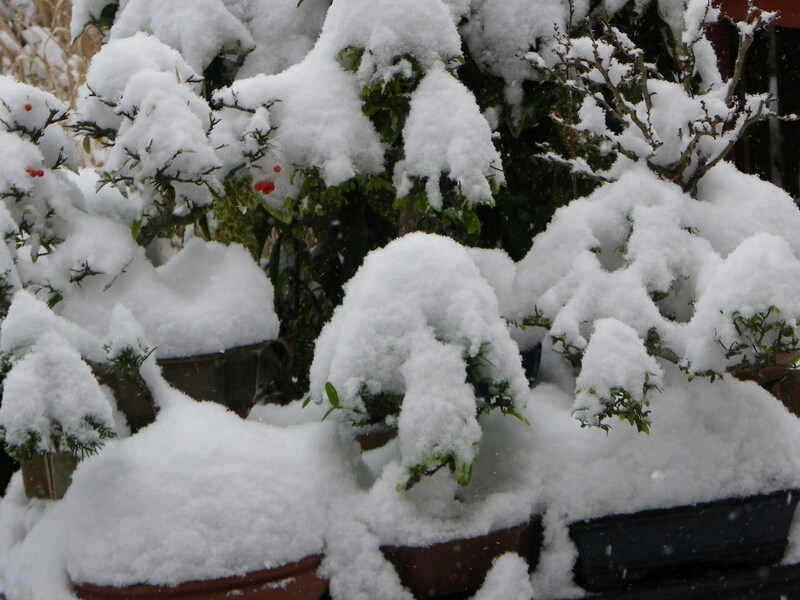 In parts of Serbia it will be down to -14 degrees at night. 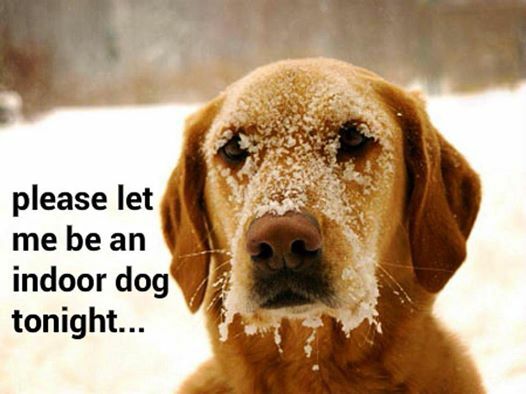 Stray dogs will be really suffering in this cold. It costs 35 Euros to build and fully fit out a stray dog house with straw. Please help support this if you can. Here are a few other issues that possibly you could give your attention to today. 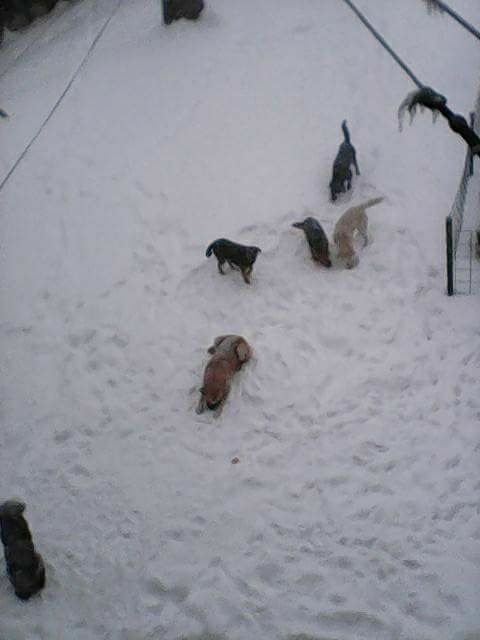 Hi Mark, this is the photo of the dogs who were illegally collected from the street in Vranje, Serbia and dumped on area where they leave garbage. They were rescued by animal welfare org Borba za život – Vranje, which is just now fighting against Avenija MB, notorious dogs killers, March is tomorrow, with us Koalicija za Zivot Srbija No kill coalition. The world should know about this, but, real facts, not these. This is the article, original, not translated, but Serbian Animals Voice has nothing with it. More and more people in China are switching to vegetarian food. In China, a country which is the world’s largest market for beef, pork, and poultry, eateries are going all vegan to encash this popular sentiment. Han Lili, a Shanghai-based artist told PTI that the number of vegan restaurants has multiplied from 49 in 2012 to more than 100 last year in China’s largest city. Almost 12 months ago you persuaded the European Parliament to vote against the worst cruelties in rabbit farming. Compassion supporters like you campaigned relentlessly to achieve this historic breakthrough. But, a year later, millions of rabbits are in the same cramped cages and filthy conditions. 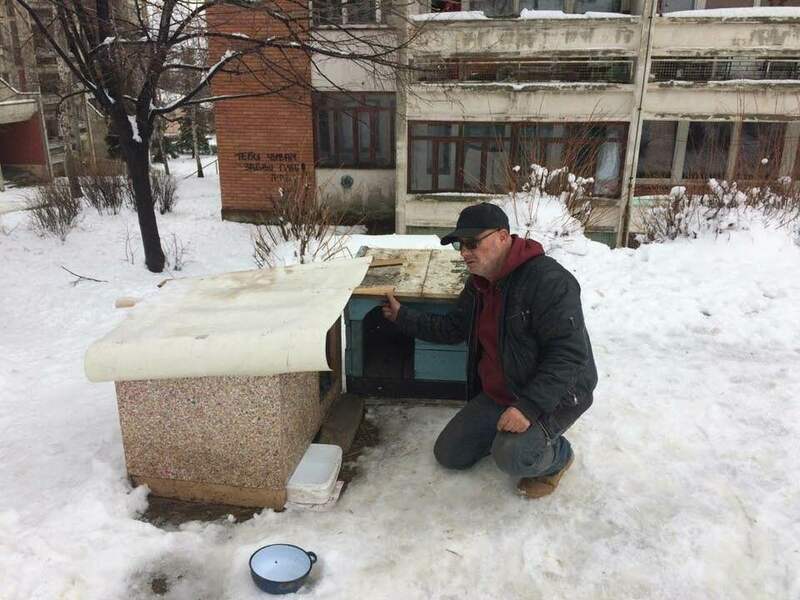 Serbia: More Homes For Stray Dogs Needed In -14 Temperatures. Can You Help ? Many stray dogs have not anywhere to hide. Since the temperatures are going to be even lower for the next of couple of weeks,we have to provide more dog houses urgently! Cost of house is around 35 euros per one including straw and transport to place it. Molim sve gradjane da makar u toku noci otvore vrata svojih zgrada, kuca, lokala i puste pse da se ugreju! Pa zar je toliko tesko biti human da se uopste mora apelovati na ovako nesto u ovim surovo ledenim danima? Pas nikome ne smeta time sto ce provesti par sati na zatvorenom i mozda time sebi spasiti zivot,a vas nikako time ne ugrozava. Pokazite ljudi humanost sada kad je njima najpotrebnija! I beg all of you to open the doors of their buildings at night, houses, bars, and let the dogs go! Well, is it so hard to be human that you have to get into something like this in these rough ice days? The dog doesn’t mind that he’s gonna spend a few hours indoors and maybe save his own life, and you don’t get it. Show people humanity now that they need it! 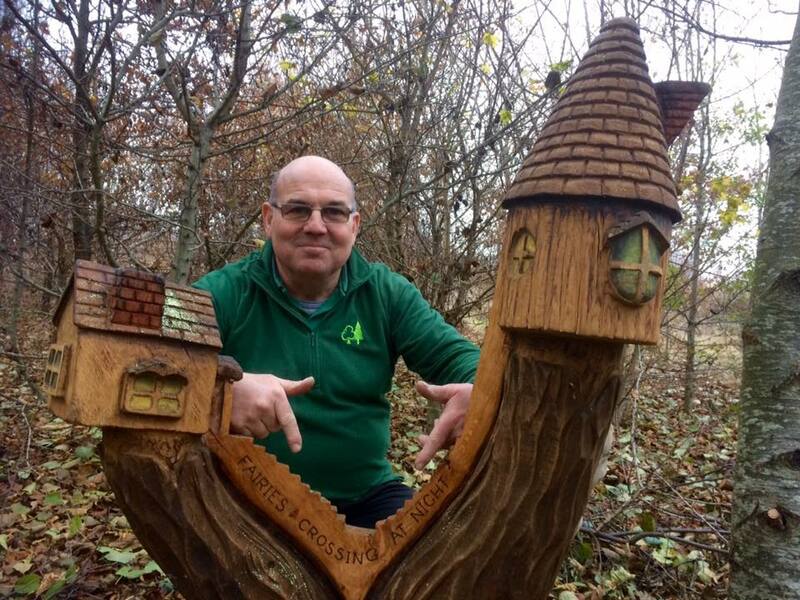 England: Jeskyns – Hedgehog Houses, Bee Hotels and Fairy Gardens ! 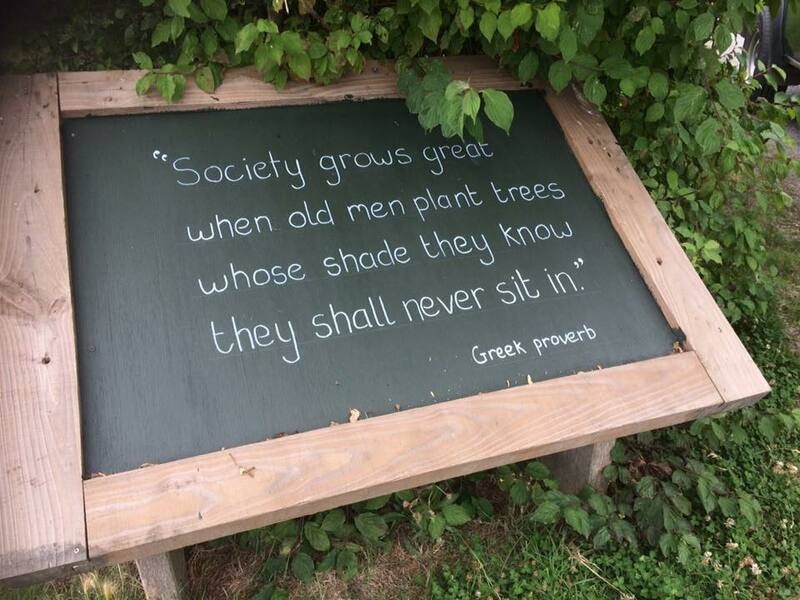 As you can read in ‘About Us’ – https://serbiananimalsvoice.com/about-us/ we do volunteering for the Forestry Commission England. All our work is for a huge woodland park named ‘Jeskyns’ which is about 1 mile from home. 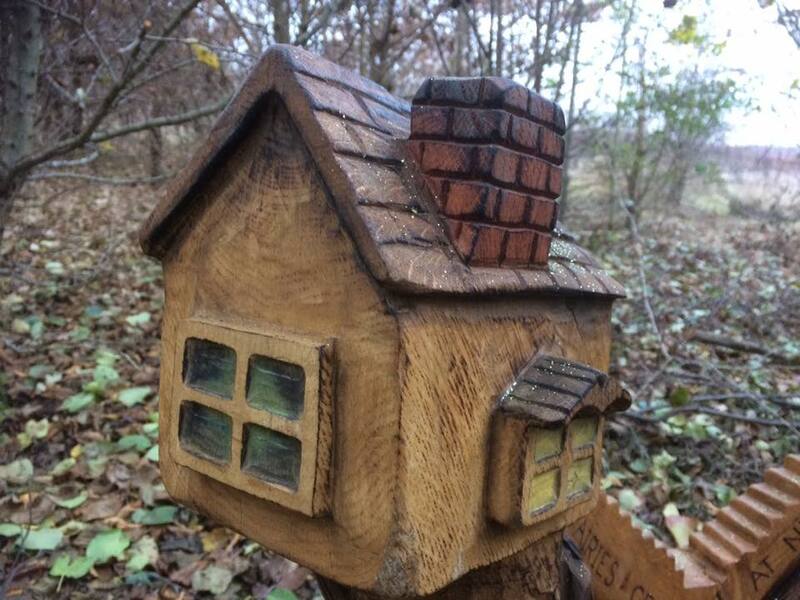 Here is the Jeskyns park community link if you wish to see more – https://www.facebook.com/jeskynscommunitywoodland/ – as you can see, the site is very wildlife and dog friendly. 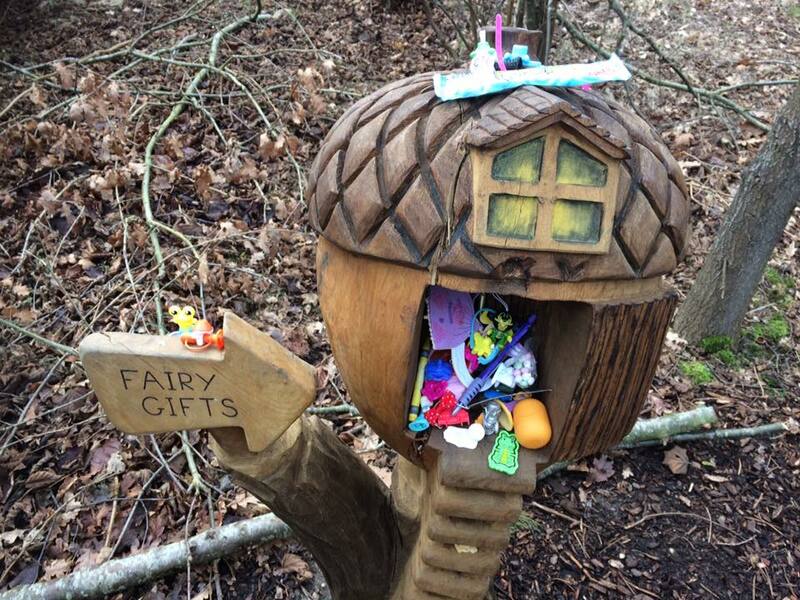 At Jeskyns there is a ‘Fairy’ woodland area which is aimed at very young children. 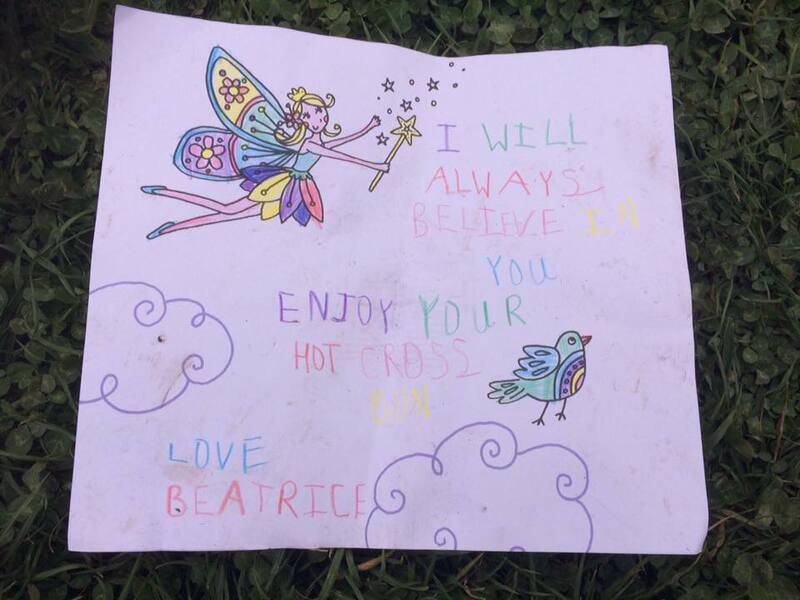 The ‘fairy’ theme is used to try and encourage them into thinking that fairies live in the park and they should try to follow what the fairies do by looking after trees; wildlife and good things in general. 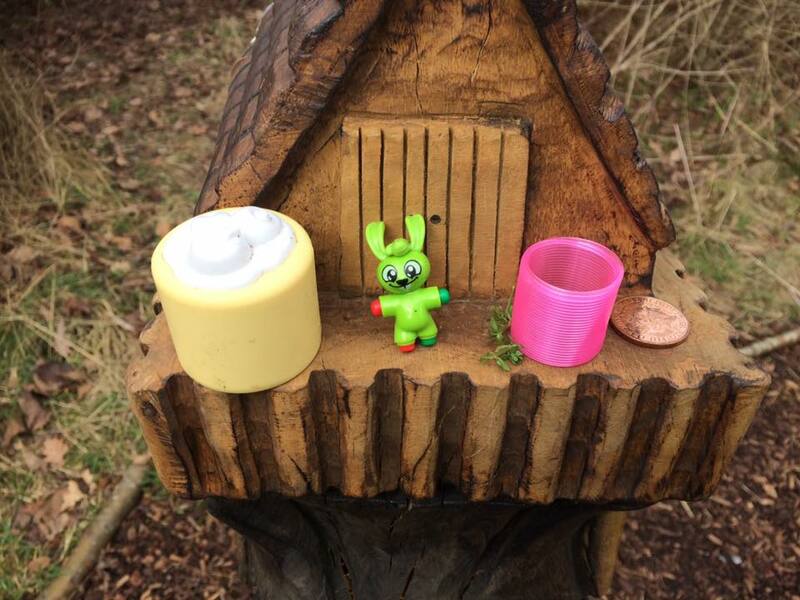 Lots of fairy homes have been made and are located in the fairy garden area for the children to find. 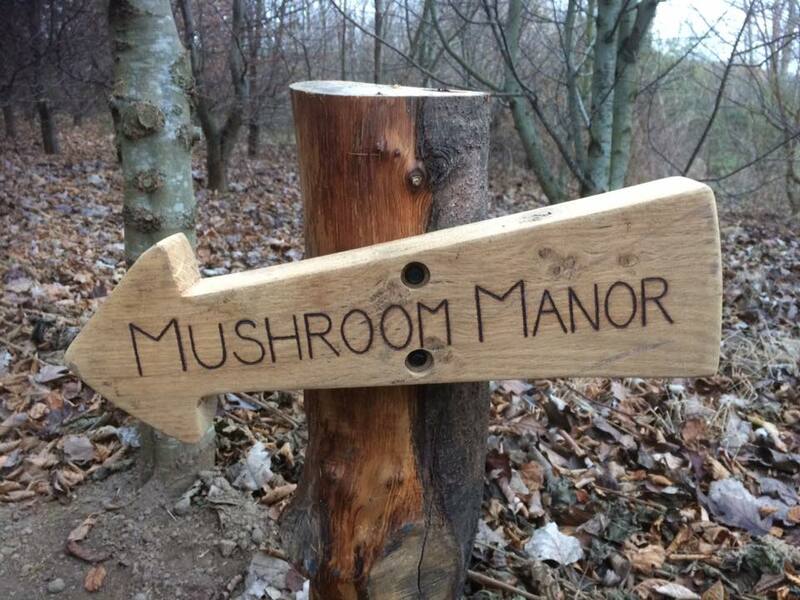 ‘Mushroom Manor’ is a favourite. As you can see, many of the children leave little presents – sweets, toys, and even a few coins; plus many notes and letters for the fairies. 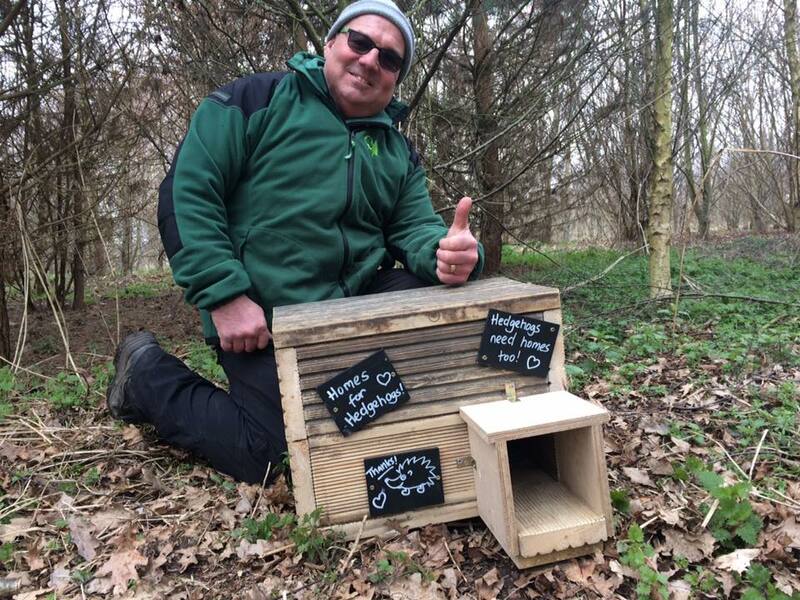 Over the past few weeks we have been constructing some Hedgehog Houses with the hope that we can encourage more hedgehogs into the area and hopefully get them to breed in the Spring. The houses are strong and secure and allow the hedgehogs to take in leaves and bracken etc so that they can ‘fit out’ their secure homes to their liking. 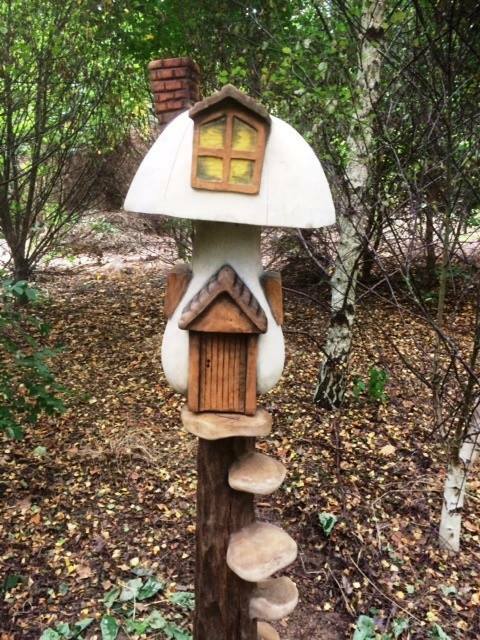 One hedgehog house has been located in the Fairy Garden area with the hope that it will encourage the children visitors to follow the fairies advice and find out more about helping the hedgehogs. 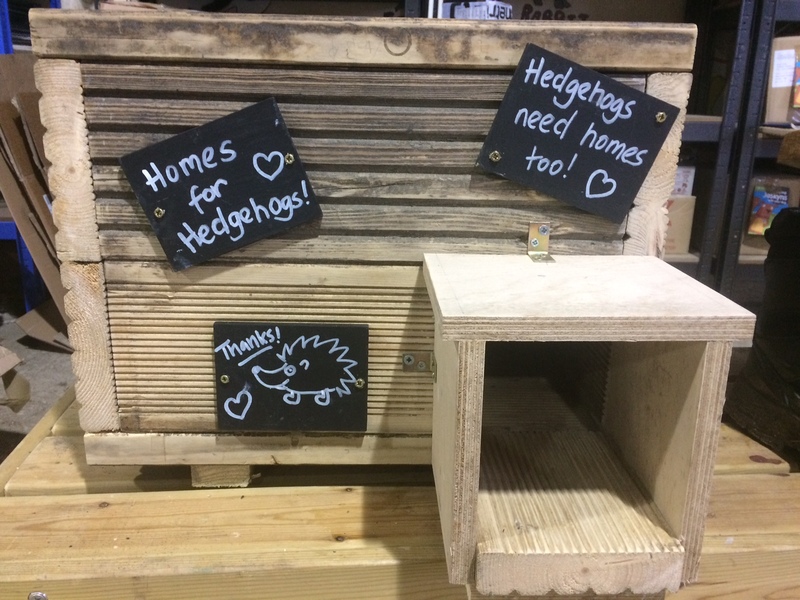 As you can see from the photo; a few labels have been added – ‘Hedgehogs need homes too’ – with the hope that the children will learn more about helping our native hedgehogs. As we say, the park does a lot to encourage dog visits; supported by links to dog welfare organisations. In addition, as you would expect from the Forestry Commission of England; woodland habitat protection and preserving the wildlife which lives in it is paramount. 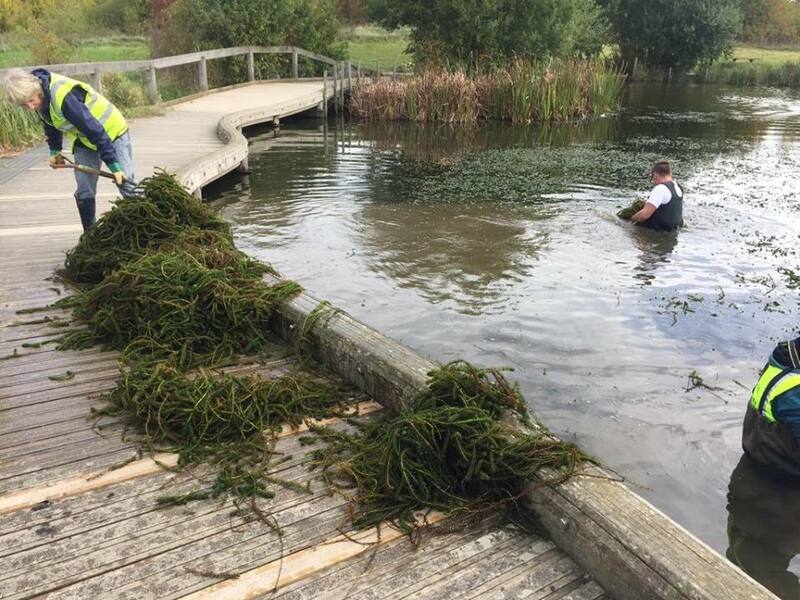 This also includes keeping the many lakes on the site clean and free from invading weed growth. You can see some weed clearing photos on the above link. There is regular pruning of the fruit trees to make sure we get as many apples as possible for sale and give away at the Jeskyns café. 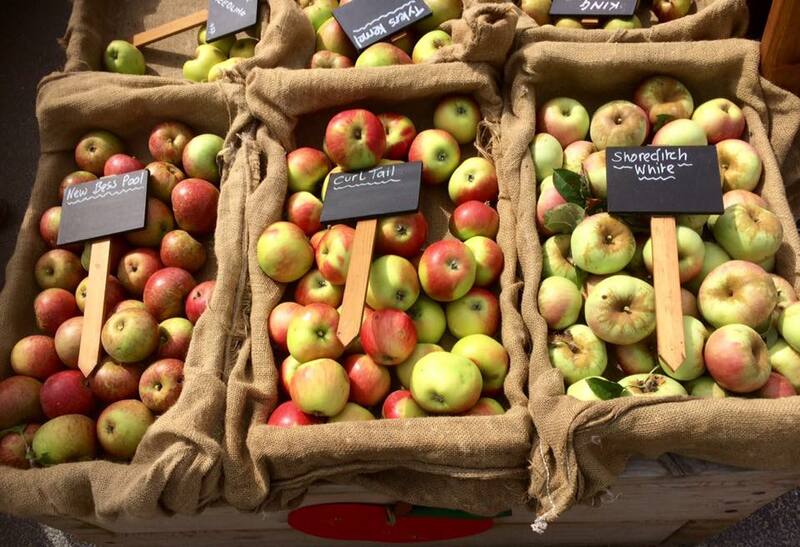 The Jeskyns orchards have an amazing 756 different varieties of apple trees ! 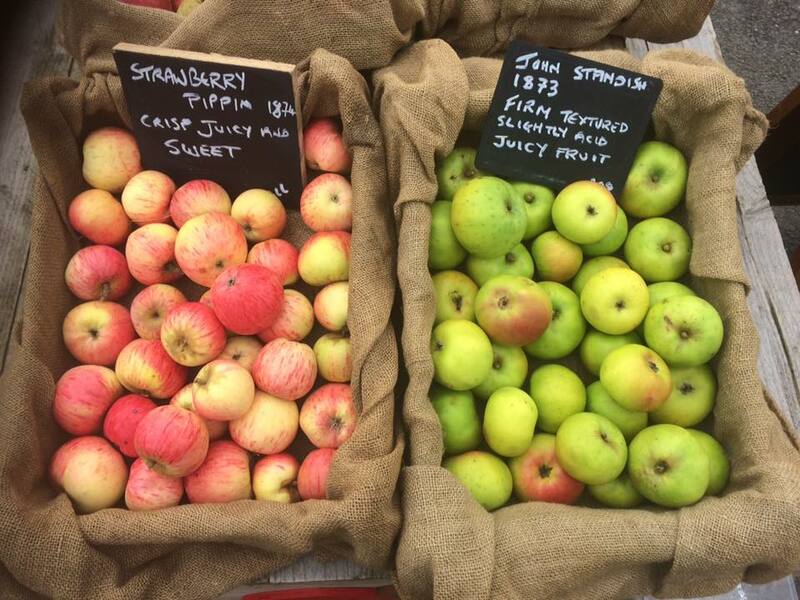 – and with our bee hotels (also on site) we encourage new pollinator bees to breed on site and then go forth and pollinate all the fruit trees. We try to work with nature to help nature – and the positive results are beneficial to both humans and wildlife.